The 1946 Huit was almost the same as its pre-war counterparts with its headlights on stalks. 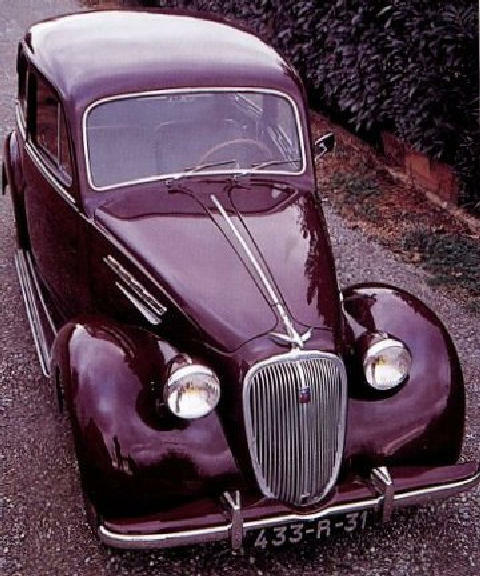 The Simca Huit had a 1,089 cc motor producing 32 bhp until 1949. The motorist then got a 1,221 cc unit with 40 bhp available for a top speed of 75 mph (120 kph).